Advanced Placement® (AP®) exams are standardized subject tests offered every May at local high schools and testing centers. Millions of high school students take the exams in more than thirty subjects. AP® exams are designed to test college-level mastery in a particular subject. Students who earn passing scores (3 or above on a 5-pt. scale) demonstrate knowledge equivalent to what they would be expected to know at the end of a first-year college course. That’s why so many colleges grant credit to students, let them place out of lower-level classes—or both—on the basis of high AP® scores. 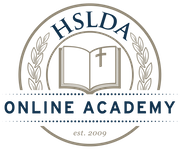 Please Note: HSLDA Online Academy was formerly known as Patrick Henry College Preparatory Academy. Past exams results reports reflect the former program name. Highlights: 226 total scores were reported for students who completed one or more of the nine AP® courses the Academy offered in 2017–18. Of those exam results, 23% were scores of 5 (the top AP® exam score), 81% were passing scores of 3 or above, and the average score was 3.52. See full 2018 score report. Highlights: 306 total scores were reported for students who completed one or more of the nine AP® courses the Academy offered in 2016–17. Of those exam results, 20% were scores of 5 (the top AP® exam score), 80% were passing scores of 3 or above, and the average score was 3.41. See full 2017 score report. Highlights: 306 total scores were reported for students who completed one or more of the nine AP® courses the Academy offered in 2015–16. Of those exam results, 30% were scores of 5 (the top AP® exam score), 86% were passing scores of 3 or above, and the average score was 3.72. See full 2016 score report. Highlights: 336 total scores were reported for students who completed one or more of the eight AP® courses the Academy offered in 2014–15. Of those exam results, 22% were scores of 5 (the top AP® exam score), 82% were passing scores of 3 or above, and the average score was 3.51. See full 2015 score report. Highlights: 414 total scores were reported for students who completed one or more of the nine AP® courses the Academy offered in 2013–14. Of those exam results, 28% were scores of 5 (the top AP® exam score), 83% were passing scores of 3 or above, and the average score was 3.65. See full 2014 score report. Highlights: 334 total scores were reported for students who completed one or more of the nine AP® courses the Academy offered in 2012–13. The percentage of students in each course who earned a 5 (the top AP® exam score) exceeded the percentage of students around the world who earned a 5 in the same subjects. 83% were passing scores of 3 or above, and the average score was 3.63. See full 2013 score report. Highlights: 227 total scores were reported for students who completed one or more of the nine AP® courses the Academy offered in 2011–12. Nearly one-third of these were a score of 5—the highest AP® exam score possible. 82% were passing scores of 3 or above, and the average score was 3.65. See full 2012 score report. Highlights: 166 total scores were reported for students who completed one or more of the six AP® courses the Academy offered in 2010–11. The average score was 3.55 and 82% were passing scores of 3 or above. See full 2011 score report. Will my AP® exam score count for college credit? If you want to know whether the college of your choice accepts AP® exam scores for credit, we recommend 1) calling the college’s admissions office or 2) using the College Board’s transfer credit policy search tool. Get more information about AP® courses and exams and how they work.